much love, illy: current obsession wednesday: SHABBY APPLE dress or bow skirt GIVEAWAY!!!! 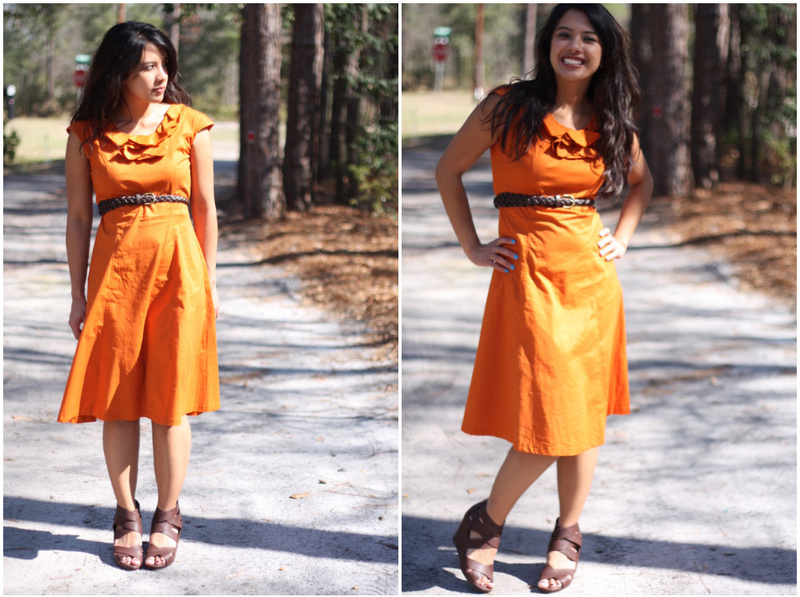 current obsession wednesday: SHABBY APPLE dress or bow skirt GIVEAWAY!!!! a couple of months ago, i got the suh-weet privilege to pick out this shabby apple dress and included it in a current obsessions post. the color is too much fun to pass up - and you can't miss that awesome purple zipper that lines that back and the shabby chic-ness of the ruffle collar? anyone else swooning with me?! and raise your hand, um, now! today one of you readers gets the rockin' chance to get your hands on your own shabby apple dress!! are you not only swooning but also squealing right now? i hope so 'cause this is good stuff here. if you are more of a skirt person, the choice of one of these fantastic bow skirts!! visit shabby apple and comment below with your favorite dress! use coupon code muchlove10off for 10% off of your Shabby Apple purchase!! Giveaway is open to U.S. Much Love, illy readers thru June 22nd. Winner will be announced on June 23rd. Ooooh, this is such a good giveaway. Shabby Apple's dresses are gorgeous. I'm currently enamored of the Boogie Woogie (great name!) & the North Shore. oh cute cute cute!! love shabby apple! my fave is the overboard. love. And I follow Shabby Apple on Twitter, too! I like shabby apple on facebook!!! I love their Garden Isle dress. I'm a follower of yours of course! I also follow shabby apple on twitter!! Favorite Shabby Apple Dress = Ahoy! Already "Like" Shabby Apple on Facebook. I am a public follower of Much Love Illy! And I LOVEEE Shabby Apple dresses! i absolutely adore the roamin' holiday collection. primavera and gondola are two of my faves. I love the Fifth Avenue dress! love the Lighthouse white voile dress! so perfect for the summer! omgosh i LOVE the cider dress!! the color, the collar.. the zippers! <3! i'm a follower of muchloveilly on twitter! im now following shabby apple on twitter! i'm also a public follower of much love, illy..
and i just liked shabby apple on fb! I love the che bella dress. I "like" shabby apple on facebook. i've had my eye on the cider dress for a long time. i also LOVE the spanish steps dress. gorgeous!! This is like music to my ears, I just found out about Shabby Apple and am in LOVE with the Martha's Vineyard dress. Such a perfect staple! I am now one of the many "followers" of your fantastically entertaining and fashionable blog. I love the Garden Isle dress so much! can i have the brown skirt, pretty please? it would be a great addition to my wardrobe, that doesn't have anything like it yet! I love the Rosso dress. Red. Maxi. Clean lines. Detail in shoulders. PERFECT!! My favorite dress is the Admiral..it's gorgeous! I like Shabby Apple via facebook. Ooooh since I already own that dress I'd totally want one of those cutie skirts! I love the ahoy dress!! um talk about awesome giveaway!!! I love the north shore dress from them. I actually am receiving from them soon! yes already a follower to your blog dear! of course! already ur twitter follower too! Love Shabby Apple! My favorite is the . . . L'Artiste. It's chic and everyday :) I do love the color of your dress! Love love love that cider dress! The color is fantastic! Liked Shabby Apple on FB too! i liked shabby apple on FB and i'm a follower of this blog! i have been a follower of both of you on FB! Love Garden Isle dress; the pattern is to die for! and i tweeted. thanks for hosting! LOVE their dresses. My favorite right now is the Sundance Kid! My current favorite is the Gondola dress. Blue, green, AND stripes? Yes, please! Already "like" Shabby Apple on facebook. Would "love" if it were an option. I really love the Seven Seas dress - simple but so perfect for summer! i've been creeping on this dress for awhile now! i love it. it's really the one i want. I have my eye on the 'overboard' dress @ Shabby Apple! Ughhhh amazing! My favorite dress is the Spanish Steps. i really like the JOIE DE VIVRE dress! i follow your blog, and LOVE it! you're so cute! and i really enjoy reading it! It's a toss up between Gray Fox and Toe The Line, both are tres cute! follower of ur blogitty blog! Oooh!! I LOVE the gondola dress! swoon! I'm a follower of much love! tweet tweet! following you on twitter! Shabby Apple is just too cute! I really like the Freshwater Pearl dress! I'm most certainly a Much Love, illy follower! Love the cayenne Baja dress! What a great giveaway!!! Thank you Ilene and Shabby Apple! I am swooning over the Overboard dress right now! I love the nautical looks! Oh my heavens, I'm in love with The Traveler!! Must.have. My favorite Shabby Apple dress is Lighthouse! oh my goodness, I could never choose just one favorite!!! and i am a public follower! I love the cider style!! Such cute ruffles. I'm a public follower of the blog! love love love the tuilieres dress! so cute. I love the Toe the Line dress- so cute! Great giveaway!